Saturday, June 2, we are looking for volunteers to lead feeder rides to the Olin Park south parking lot for the Ride to the Parks and Trails Unite Festival. There are currently three feeder rides planned. On the east side, there is a feeder ride starting at the Olbrich Park Biergarten that leaves at 11:00 AM. On the west side, a feeder ride is departing from EVP at Shorewood Hills at 10:30. There is also a feeder ride starting from Cafe Domestique on Williamson St. for folks living on the near east side. The feeder rides will collect at Olin Park around 11:30 AM where Bombay Bicycle Club and Madison Bikes are co-hosting a ride to the Parks and Trails Unite Festival which leaves at 11:45 AM. If your neighborhood wasn't listed and you want to lead a slow-rolling feeder ride, drop a comment on the event's Facebook page with a location and a start time to be added to the list of feeder rides. It would be great if we could get feeder rides from all corners of the city! Sunday, June 3, we are looking for volunteers to help out at the Madison Bikes ABC Quick Check tent. If you can at least identify basic maintenance issues then we could use your help. Sign up for a volunteer shift here. The two shifts are from 11:00 AM to 1:00 PM, and from 1:00 PM to 3:00 PM. Please plan on showing up 10 to 15 minutes prior to your shift. Tuesday, June 5, we are looking for a few volunteers to help run the Madison Bikes Bike Week booth at HotelRED from 7:00 AM to 9:00 AM. We primarily need folks to engage commuters in conversation, and we would welcome your help even if you can't stay the full two hours. If you can help in any way please send an email to volunteer@madisonbikes.org. This last week we had quite pleasant weather and a week full of events for Bike to Work Week. Hopefully you all got to take advantage of the nice weather and got out on your bikes. On Tuesday, we saw Tom Lynch nominated as the city's new Director of Transportation. The selection was praised by numerous current and former city council members and other members of the community who have worked with Mr. Lynch on various transportation projects, and we are certain he will make a good Director of Transportation. Another bonus is that Mr. Lynch is a year round commuter cyclist, so he will be able to bring to his position a viewpoint that we are hopeful will greatly improve transportation options here in the City of Madison. On Tuesday, at 5:00 PM, the Pedestrian, Bicycle, Motor Vehicle Commission (PBMVC) meets and will discuss the Blair St. corridor report which includes the two additional intersections of John Nolen Drive on the isthmus, and they are being asked to approve the geometry of the John Nolen/Williamson/Wilson/Blair intersection so Engineering can move forward with bids and construction as quickly as possible. 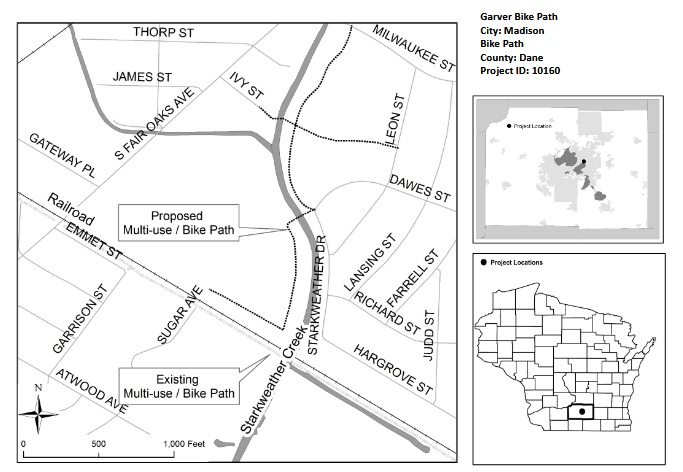 City Engineering will also be present at the meeting to update the commission on projects they are pursuing, including for requests for proposal (RFPs) for two important multi-use path connections: one along Starkweather Creek behind the Garver property called the Garver Bike Path, and one that would create the first low-stress connection to the city's bike network for residents living in the Burke Heights neighborhood called the Autumn Ridge Path. Also on the agenda is the adoption of the City of Madison Comprehensive Plan. The Comprehensive Plan is the result of two years of gathering public input through the Imagine Madison website and public meetings to create a guide that should help shape public policy around the future growth of Madison. This plan will also be at Thursday's meeting of the Long Range Transportation Committee. Here is the link to the public PBMVC agenda. On Wednesday, at 7:00 PM ,there will be a community meeting to discuss the April 27th crash on Midvale Blvd. that killed pedestrian Greg Nametz, and severely injured his wife, Patty. The meeting will be at Queen of Peace Gathering Space. Read more about it on Alder Arvina Martin's web page. The Long Range Transportation Planning Committee (LRTPC) meets this Thursday, May 31, at 5:00 PM. Adoption of the City of Madison Comprehensive Plan is also at this committee. 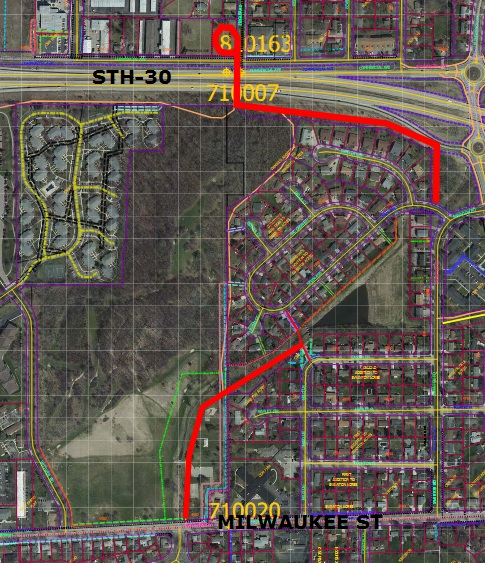 The LRTPC will also be asked to adopt amendments to the Elderberry, Pioneer, and Junction Neighborhood Development Plans. Here is the link to the public LRTPC agenda. Saturday is National Trails Day, and to celebrate, Dane County is hosting the Parks and Trails Unite Festival, which starts at 10:00 AM and runs into the night until 7:00 PM. There will be music happening at both ends of the newly completed segment of the Lower Yahara River Trail. The event is free and open to the public. As mentioned earlier, Bombay Bicycle Club and Madison Bikes will be doing a group ride to the festival with feeder rides from around the town. As a reminder, we are still looking for volunteers to lead feeder rides from their neighborhoods, so if you want to lead a feeder ride, leave a comment on the event's Facebook page with the location and time of departure for your ride. Sunday kicks off the start of Bike Week. The 10th annual Ride the Drive starts at 11:00 AM and lasts until 3:00 PM. The route is along scenic John Nolen Drive and North Shore Blvd. which will be closed to motor vehicle traffic for the public to enjoy. The ride is family-friendly, and there will be entertainment, food, and fun! Join the MadTown Unity Ride starting at 10:30 AM on a ride from the south side of Madison to Ride the Drive. Madison Bikes will have a tent at Ride the Drive that includes a basic maintenance ABC Quick Check. As a reminder, we are still looking for volunteers to help out at this event, so if you are available and can at least identify a basic maintenance issue, please sign up for a spot. Look for more information on Bike Week events in next weeks blog post. You can also see what events are planned for Madison at the Wisconsin Bike Federation's Bike Week website.